Powdery, sweet, sumptuous, perfumey, and most definitely vintage — Bal à Versailles is like the wallpaper in the palace at Versailles, with so much imagery, color and ornate finery in the details, it's hard to immediately discern what's going on. I have to admit that I didn't get it at first, and wondered if there was something off about my eau de cologne win on eBay (for an obscenely cheap sum, I might add). But I gave it a few days, tried it and retried it, and I can say I finally get it; Bal à Versailles is a whole lotta perfume. It starts off brightly (bergamot, mandarin) and moves quickly into sweetness, powderiness and duskiness (from the indolic jasmine, and neroli with a hint, already at the beginning, of the subtly spicy and creamy base of sandalwood, cedarwood and Tolu balsam).. Although honey isn't listed in the notes anywhere, and maybe I'm smelling it from one facet of the orange blossom, I could've sworn its animalic sweetness was a part of this perfume, in character if nothing else. A lot of reviewers describe Bal à Versailles as being dirty, of smelling, even, of ladies' underpants. I just don't get that. It's sensuous, but in its dark richness rather than in stinkiness. BàV starts off as a brighter, higher pitched Narcisse Noir, the latter perfume refusing to turn on any lights or speak in anything but a growl, while BàV agrees, at the very least, to light some candles so you can see what the heck is going on or to enunciate in a normal voice. The perfume is supposed to recall decadent ballroom soirees past at Versailles, with powdered ladies exuding aristocratic perspiration — a little tinniness combined with flowers and musk. You can almost smell the smoke from dying out beeswax candles, what one reviewer described as chalky or incensey. An hour or two into it, and Bal à Versailles is a mellow, powdery-gentle and comforting skin scent. A 60s-era perfume recalling balls at Versailles is going to be a little kitschy, though, and I couldn't help but think of the weird retro fashions rock stars wore back then. Take the Rolling Stones' dandy Brian Jones, for example, sporting neo-Edwardian ruffles, velvet jackets and a past-as-interpreted-by-the-already-rococo-60s. Bal à Versailles is the perfume version of a rock star's retro suit: an interpretation of the past through the tripped-out psychedelic fantasies of the sixties. Great review. After 50 years Jean Desprez- creator of Bal a Versaille is releasing a new Jean Desprez fragrance. Also have some interesting things going on at their website Jeandesprez.com They will be doing an exclusive pre-launch of the new fragrance on that website. sensual essences one can become familiar with.....it's the kind of perfume that one asks the individual wearing what "she's wearing"...and you'll probably remember the name from thereon. Enjoying the decant, at home alone; to me it has some of the all-weekend-in-bed-with-someone vibe of Kouros. Amongst the decants you shared with me, I find it to be Intimates slightly unwashed European cousin, and I want to say "don't clean up too much!" Both are lovely. Kouros, well, lovely's not quite the word, but unforgettable is. I was so intrigued by your review I bought 2 eBay bottles of this...one that advertised itself as vintage, and the bottle is marked only Jean Desperez, and a reformulated mini distributed by Parlux. This is one of the rare cases where the reformulation is head and shoulders IMO above the original. The original is complex and interesting, but definitely powdery and limited, while the Parlux reformulation is an amazing animalic naughty masterpiece. The Parlux bottle I have is an amazing homage to Versailles, and rife with all of the layered smells of that unique place. For those of us who love crazy, beastly, animalic, complex scents, this is a pot of gold at the end of the rainbow IMO. The bottle I have that was labeled vintage is also complex and interesting, but a powdery floral and tame. The two scents are so different it's shocking they would be labeled with the same name. FWIW. Hi Perfumeaddicted. Thank you for the heads up on the Bal à Versailles reformulation. I'm gonna have to try some myself! You're right about the powderiness of the original...Nice that the reformulation puts the skank front and center! I have a sample vial of vintage Bal a Versailles and all I can say is ah-mazing!! it smells floral and spicy with an undercurrent of raunchiness that I love.It is so animalistic and it ROARS out of the vial and on my skin!! I wish I could have an unlimited supply of this vintage juice! 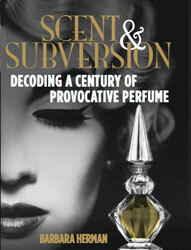 perfumeaddicted - don't know what you were smelling, but the original is the absolute pinnacle of french perfumery. the reformulation left out numbers of the most subtle ingredients, because of their expense. there is nothing redeeming in "skank". the rather two-dimensional reformulation may appeal more to people who grew up with the overpowering scents such as giorgo and opium, and perhaps feel that the second version of baV is comparatively subtle, but with "skank". the fact is, however, that the original baV contains subtleties that reveal themselves only very slowly, over time and space. "skank" can't compete with that, in my book. if you want to smell the "skank", feel free to take the second version (which is not nearly as long-lived as the original). and you have to be absolutely certain that you have your editions straight, because much of the silk was used to cover both sizes of bottles. for myself i will treasure the original for what it is. i have NO hope whatever for the "new" baV, which is apparently in slo-mo release by a corporation that manufactures computers, and holds rights to many latino songs, among other greatly varied items. this has been going on for two years; it seems to me that the "giveaway" contest is a way for them to harvest email addresses. whether their formula will be anything approaching the perfection of the original, i seriously doubt. I also think that the reformulation is much more animalic and sexual. The original has a much sweeter facet. Thats an interesting switch! Im going to have to try the reformulation, Miguel. Around what year should I start?